Join the Electronic Frontier Foundation, EFF-Austin, and iSEC Partners for a special gathering to celebrate digital freedom! Learn, discuss, and network with online civil liberties supporters and meet the people behind the world's leading digital rights organizations. Raise a glass with us and discover what's next in free expression, digital privacy, and protecting the future of innovation. The event will include brief remarks and a DJ set by Mr. Fang (Artificial Music Machine). Refreshments and beer provided courtesy of our sponsors: iSEC Partners, Scott McCollough, Matt Henry, and Bracewell & Giuliani LLP. Reservations required. The Electronic Frontier Foundation is the leading defender of civil liberties in the digital world. Blending the expertise of activists, technologists, and attorneys, we promote innovator rights, support free speech online, fight illegal surveillance, advocate for the open Internet, and protect freedom as our use of technology grows. iSEC Partners is a proven full-service security firm that provides penetration testing, secure systems development, security education and software design verification. 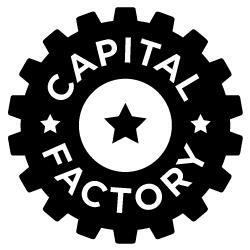 Find us at Capital Factory on Brazos between 7th and 8th Street! This is a free gathering, but space is limited. For more information contact membership@eff.org. Make your reservation below.